2 Dunks 2 Dunks 1 Dunk 0 Dunks!! Up to your neck or more = A Dunk! 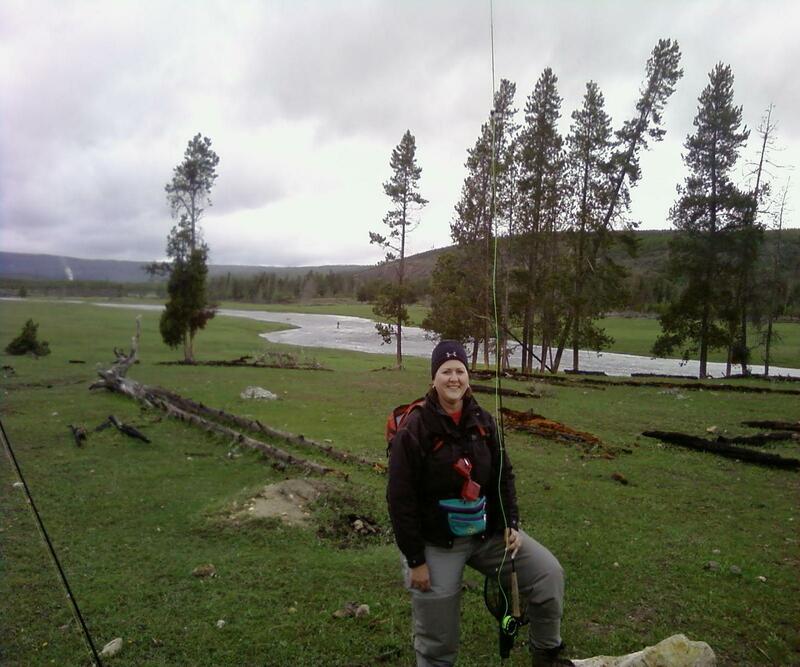 So, you look at this timeline of my fly fishing experience classes through the years and think it is hilarious! So do I!! One person shouldn't have to take so many classes, you say. Well, I am frickin' slow or just like to socialize...you pick. Maybe a little of both, to tell you the truth. This is my journey of try, try again! And many have joined me along the way, which has been the most fun part of it. 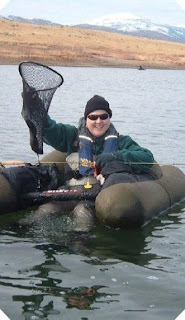 And because of Howard putting up a little contest over at Windknots and Tangled Lines (VOTE! ), I get to bore tell you a little about my brief, but incredibly exciting timeline of fly fishing. A short four years into it...and it has been an "Adventure In Every Riffle"!! I have had trips with non-invited guests, such as snakes, bears, bison, and even a dancing mouse!! 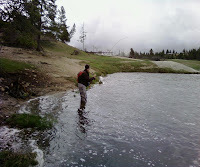 And I have learned to fly fish along the way... 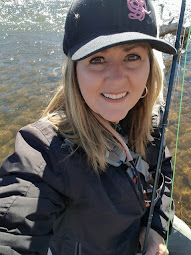 It's been a journey in learning what NOT to do... : ) (Someday, I will get in more Unorthodox...err...Outdooress Style lessons on what to do...until then, I'm afraid that I am in a similar group along with The Unaccomplished Angler!) Even, with an FR sticker, we still had plenty of follies. 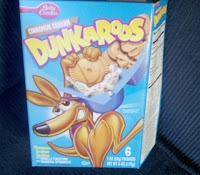 UA got lucky, because he never got dunked when he was with me...amazingly enough. SUMMER OF 2007...Where it all began. My memory is not so good. So, I am going to pretend that I remember my first time with a fish. Ugh, ok. How about this? 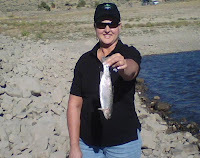 I was invited to Strawberry Reservoir with some friends to have a picnic and put blown up worms on the end of a spinning rod. They got their fish. But, my little red/white ball didn't move one i-oda. Finally, a pull on the line. As everyone was telling me to start reeling in, I wondered if it would actually be a fish or a piece of green undergrowth...Yes, I had a fish...my first. "Do I have to hold it? ", I asked. They laughed and said, "If you want a picture with it"! 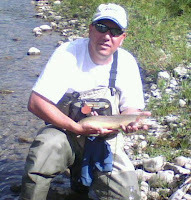 FALL OF 2007 - My second attempt with a spin rod and I am smiling, but I don't know if I was quite in my comfort zone... Yes, the fish was a beauty and it made my day. 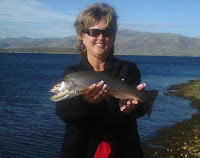 I now knew that I liked holding fish, just not worms... ; ) So, when I got home...I called a friend that I skiied with in the winter and liked to fish also...but, a different kind of fishing. Something with "flies" that imitated bugs...hmmm. That sounded good! He said that I could tag along with his buddies, but I would have to get some waders and boots. 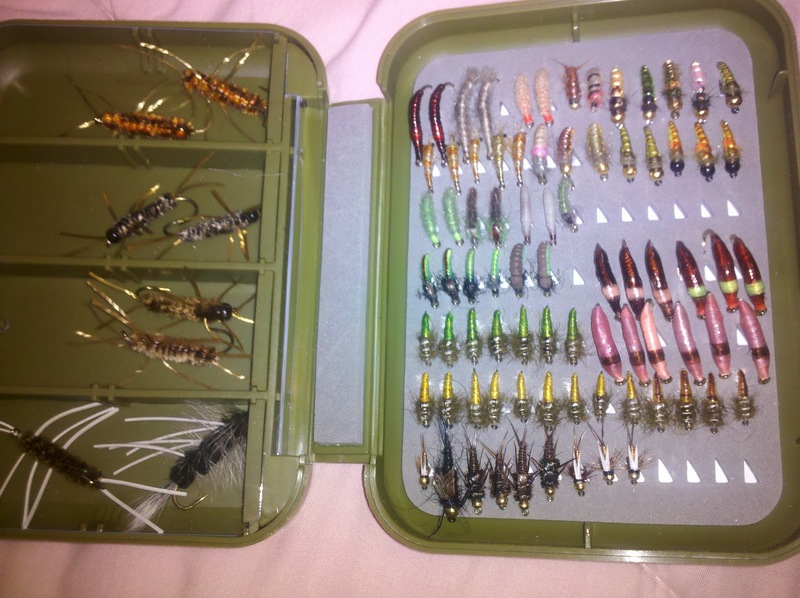 And a fly rod. Oh, all of that? Ok..next year. FALL OF 2010 - By this time, my fam thinks that I have totally gone nuts. 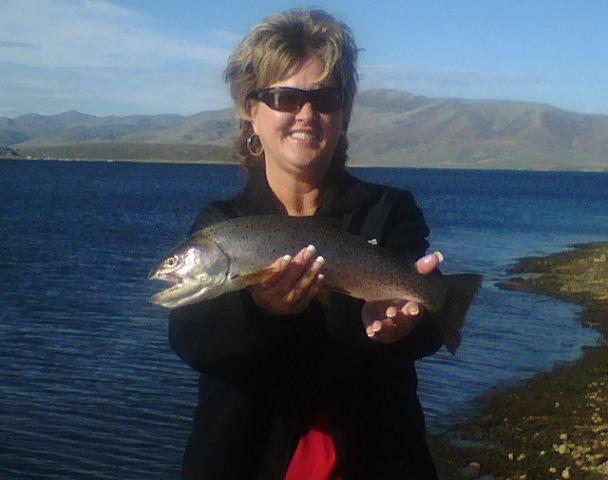 I am now fishing once or twice a week. I have converted from a ski bum to a fish bum. Plain and simple. My skiing friends can't believe it when I want to do both in the same day...I take another Czech Nymphing Class. 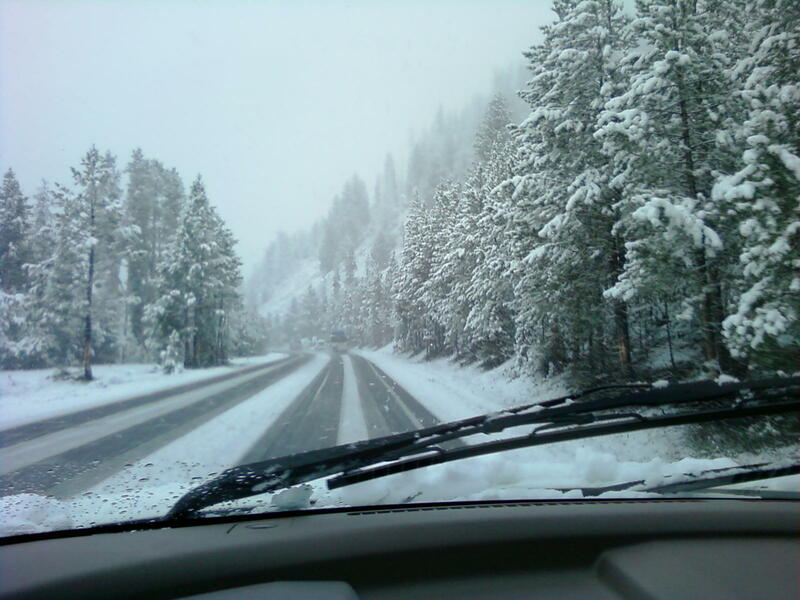 And a Yellowstone trip. I meet Rebecca Garlock through a mutual friend. We fish River X. Now, I am never turning back. 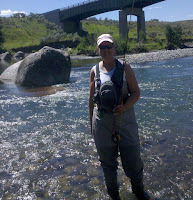 It seems that she thinks that I should have a fly fishing blog...I laugh! A few weeks later...The River Damsel is born!! I join the OBN and now it is all gell'n!! 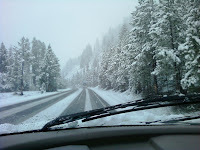 Now is my chance to take more adventures...and write about them! And in 2010...I only fell in once. ; ) Trying to help a mother and two children that flipped over in their tubes going down the Weber River. I got them all over to the side and then, I went down!! Dang, slippery moss!! 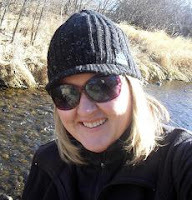 When I was sitting on a rock afterwards, I saw a blue damsel...So, it was easy to come up with a blog name. And my sub-title..."Adventure In Every Riffle", self-explanatory. THE YEAR OF 2011 - AMAZING!! Look around this blog. My post, RD's 2011...In Retrospect tells it all!! I don't know how one could get more into a year. 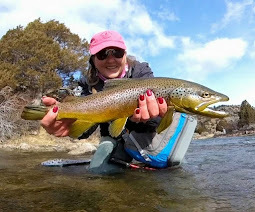 I fished in NC, TN, ID, CO, UT...I have been very fortunate to meet many wonderful people this past year and share some fly fishing time with them. I appreciate all who have read and commented on this little ol' blog. It has been an exciting adventure and so worthwhile...even through the "dunks"! That was great!! I love learning more about people and their back stories--and boy do you have some stories!! I think you're on to something with that tail pinching fish hold technique. It's about the journey. Filling the waders is something everyone has got to do once, twice or in my case a dozen plus times. It's great to hear your stories! 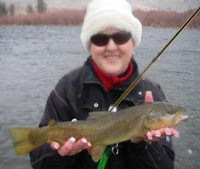 Fishing blogdom would not be the same without you. Will ~ You have always been fun to have around...glad you enjoy my follies...errr..stories! Joel ~ You are right...it is about filling up waders to your neck!! Journey on!! And thanks! Mark ~ Ya know, I keep it "real"!! This is me. 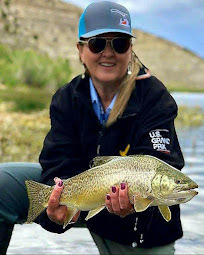 I'm not a glamour girl of fly fishing, for sure! Just plain ol' RD, having fun..."If you can't laugh at yourself, life's gonna seem a whole lot longer than you like." Very cool evolution into what you are today.. nice post. Great stories...see, not so hard. 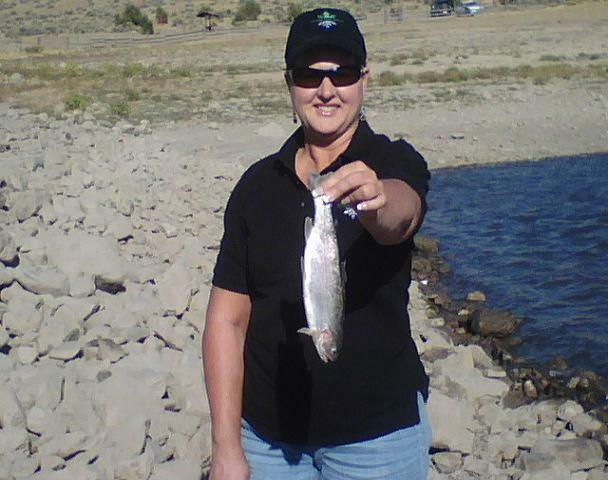 Cofisher ~ It took awhile, but we got it done. It's actually kind of nice to have this down in print. Otherwise, in five more years...I might not remember a thing! Ha!! Very entertaining post. 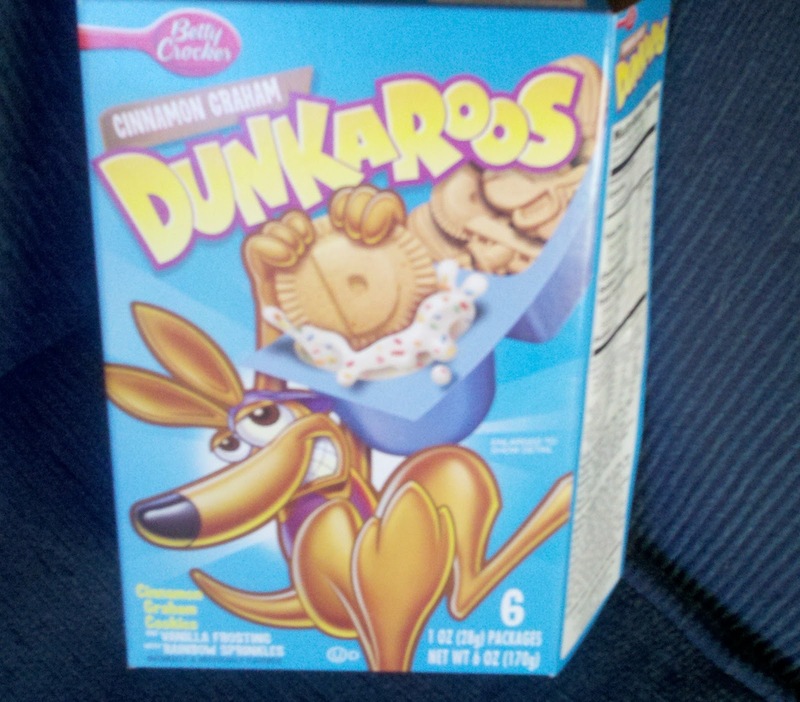 I haven't dunked in a few years, but I always remember those times, especially to colder ones. Those are some nice fish you've gotten over the years....dunks are a rite of passage....here's to another four years....It's good to see CUA again. Darren- Thanks and let's hear it for a dry wader year (relatively speaking) in 2012! Sanders - There was a close encounter of a dunk that day that we fished the Poudre....Bring me along...free entertainment! Ha. FR -A rite of passage...I'm a fully fledged member for sure! Thanks for stopping by...now go dead drift some steelhead! I think I fished in the State of Confusion this year. Have you tried that yet? Thought I heard Howard upstream hanging fly ornaments on trees. Enjoyable read, and talk about perseverance. I've been inspired to install those spikes on my shoes too. RR ~ I balked on the studs for two years...dumb girl. They have improved my wading by leaps and bounds! And I am keeping them on all year round... ; ) No more dunks!! 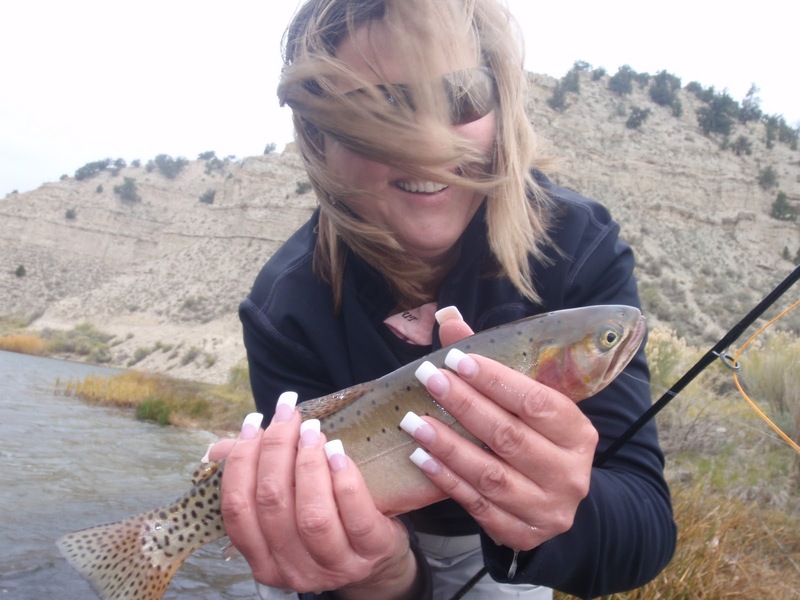 Fly Fishing is kind of like skiing. If you don't go down once in awhile, you're not pushing yourself to the next level. It's great that you found fly fishing and love it. Some people just get it and many don't, but you are in and its a great ride. Great story telling RD! Had me laughing out loud. I still admire all the waters you've been on and have decided my travels are to start this year! 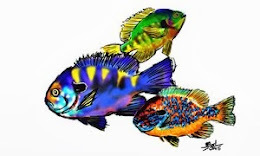 Keep up the good work and fish on!